Len Gordy is in his ninth year as Creighton’s diversity and inclusion officer for Creighton athletics, and he also works in the University’s Multicultural Affairs Office on campus. Gordy spent the 2004-05 season as the school’s director of basketball operations after spending the previous 10 seasons on the bench as an assistant coach for the Bluejays. Gordy graduated from the University of Arizona in 1977 with a bachelor’s degree in radio and television communications. While at Arizona, Gordy played forward as was team captain his senior year and was named the team’s most inspirational player his final three seasons. Gordy has experience as a basketball coach at numerous schools across the nation. 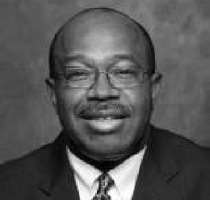 Before joining Creighton University’s staff Gordy spent two years as a teacher in the Atlanta public school system.